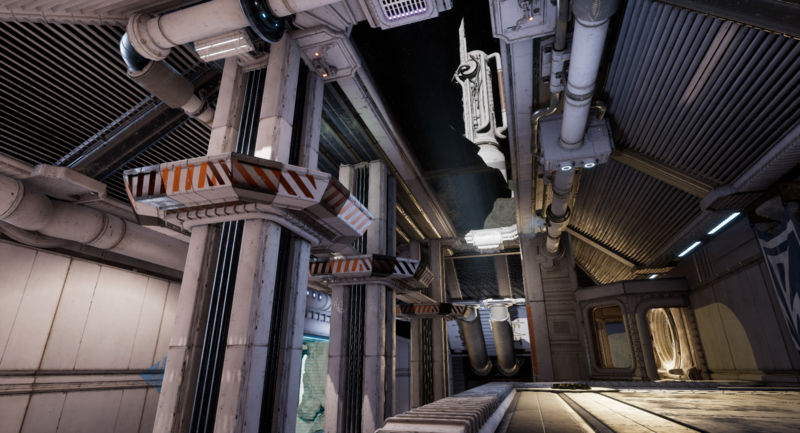 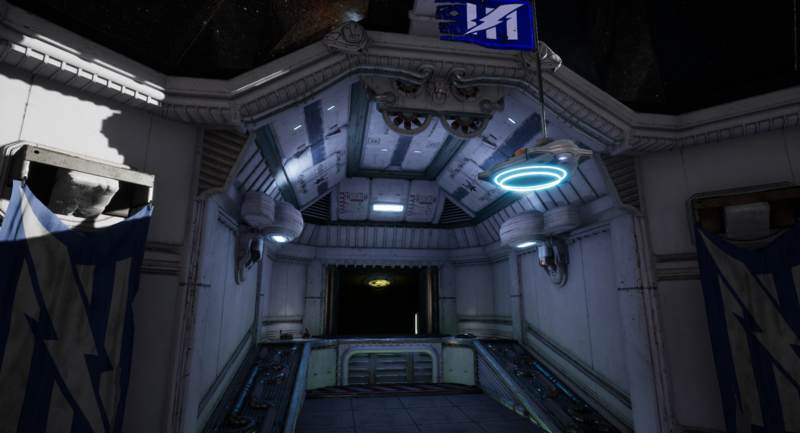 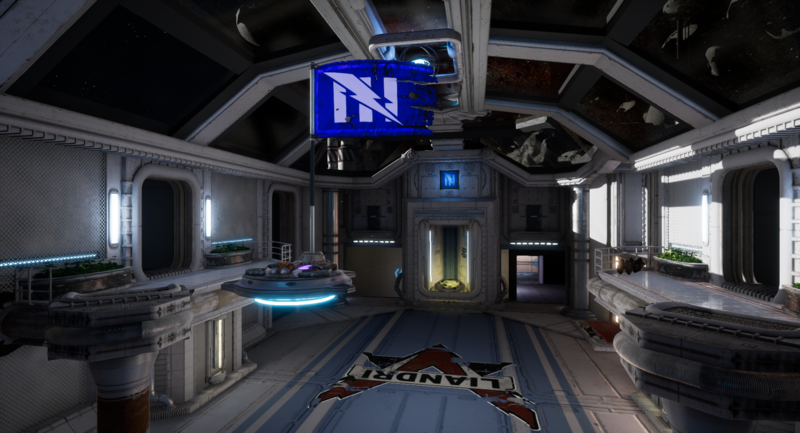 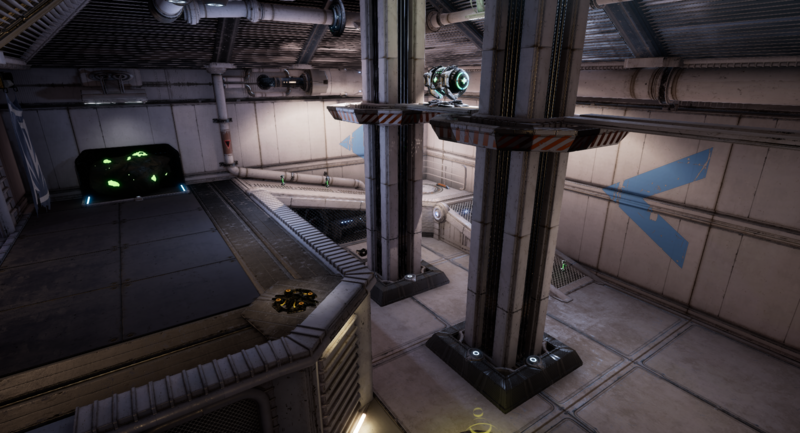 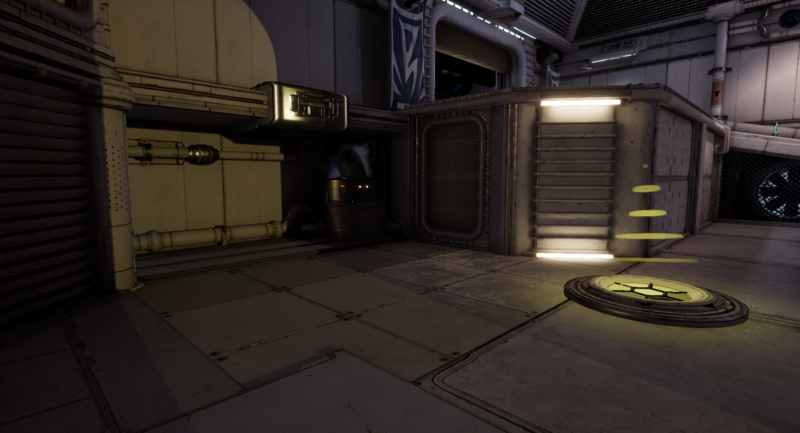 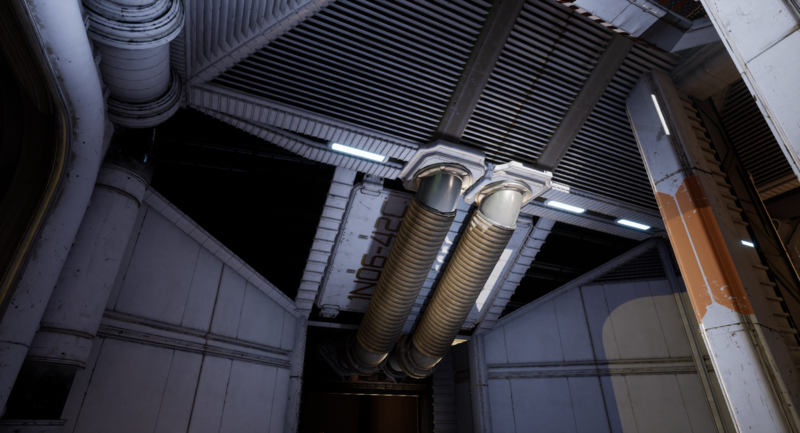 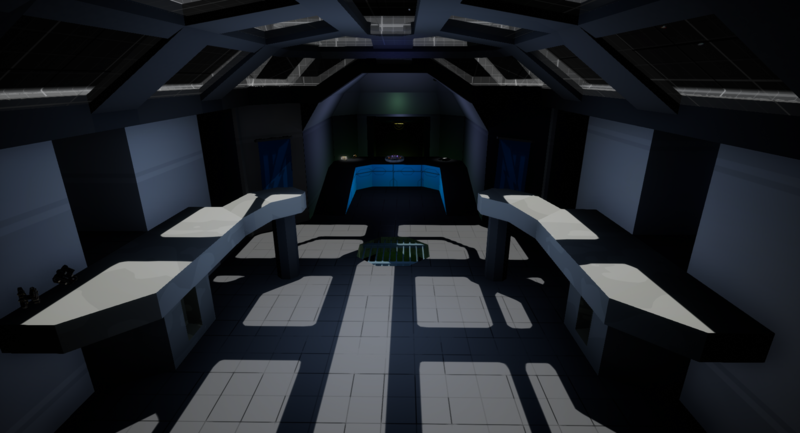 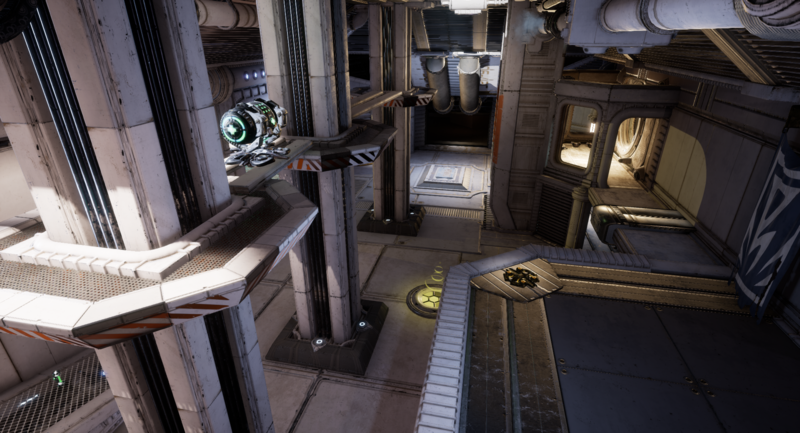 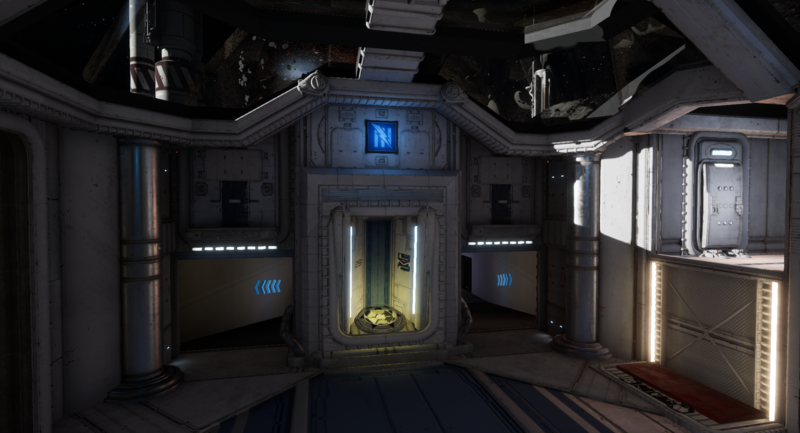 CTF-OMEGA13 is a capture the flag level for Unreal Torunament 4 created in Unreal Engine 4. 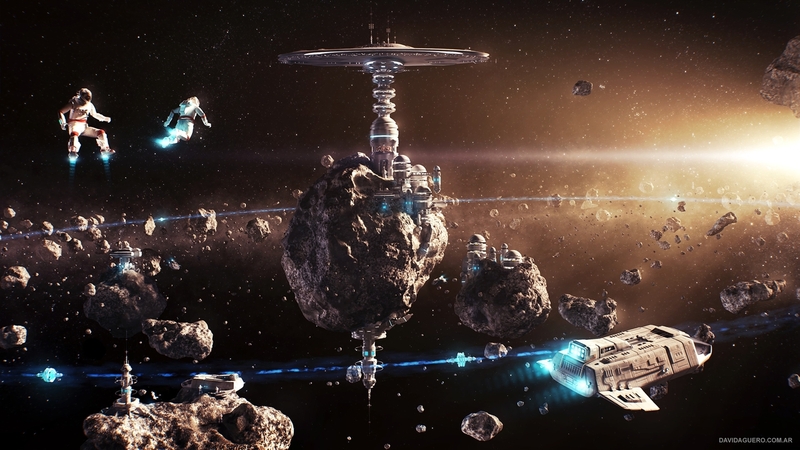 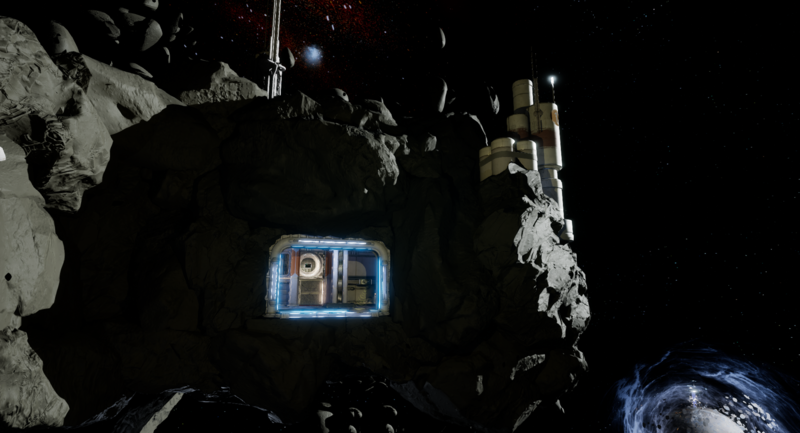 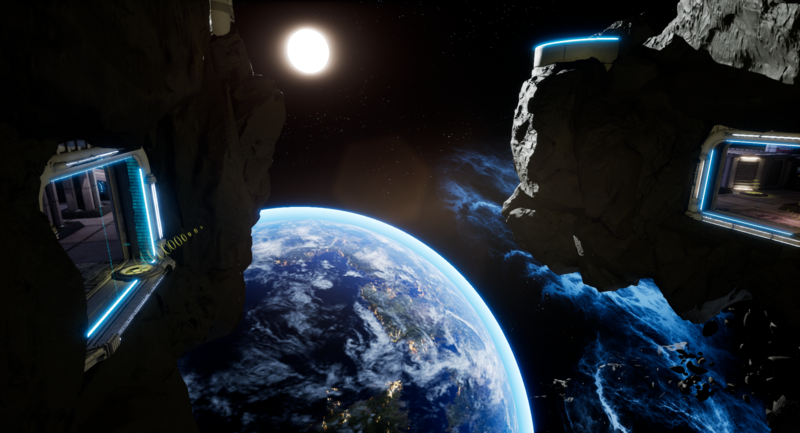 The initial concept was to create a space station inside a massive asteriod in an asteroid field. 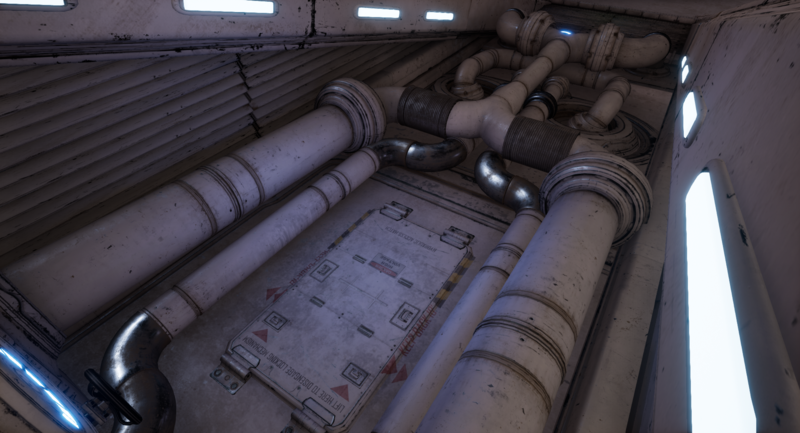 I then started looking for concept art that might be a good fit. 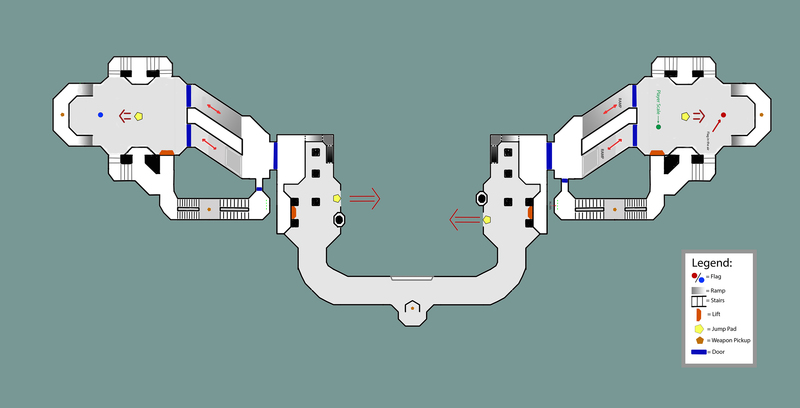 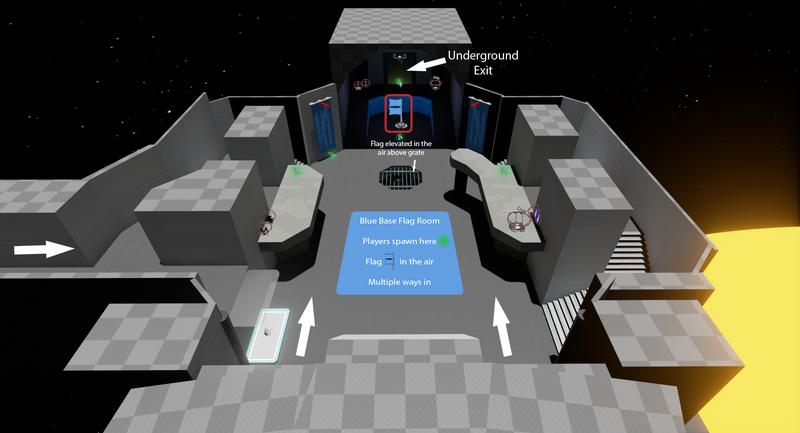 With that idea in mind, I started drawing different prototypes and eventually I came up with a floor plan, which I then painted in Photoshop as detailed as I could make it. 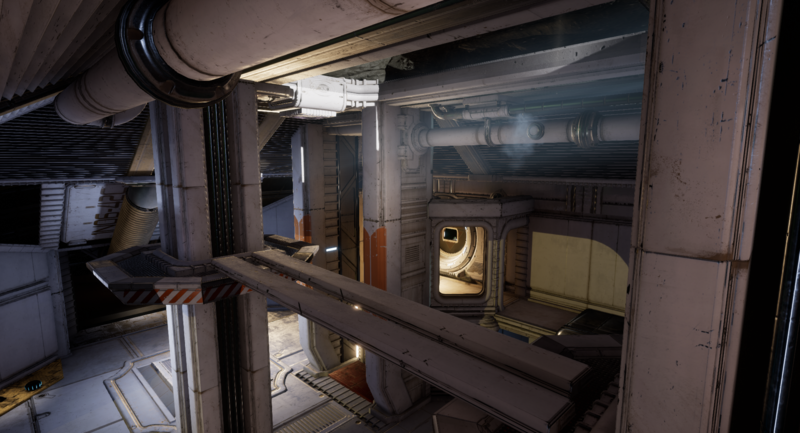 It's a medium sized map for 8-10 players with fairly long lanes that you can fight in and traverse at high speeds, but with sufficient changes in elevation, line of sight and direction so that it doesn’t feel too simple. 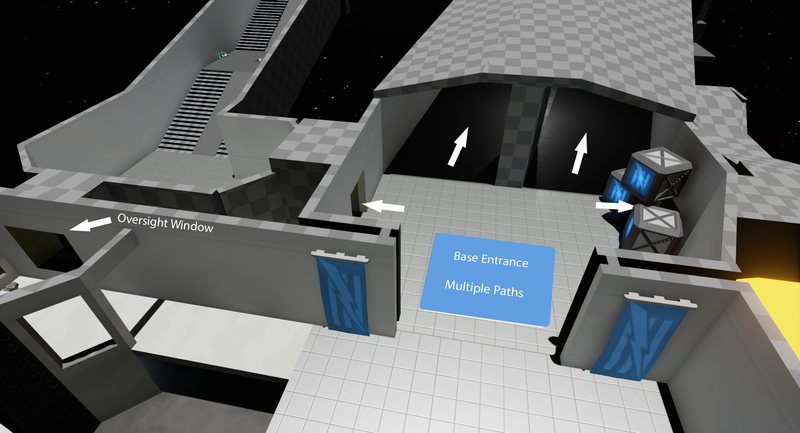 From here, I created a blockout version of the level, using simple BSP geometry and assigned weapon and pickup placements to make the level easier to test. 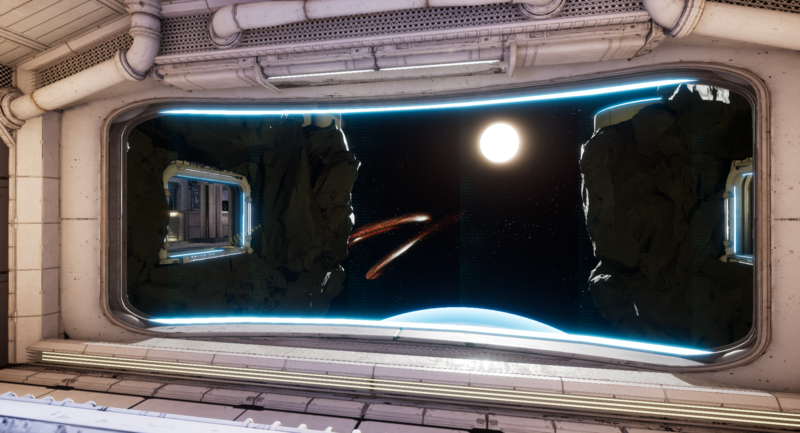 In the middle of the map there is an open section where the space station goes out into space (a docking bay or something if you will). 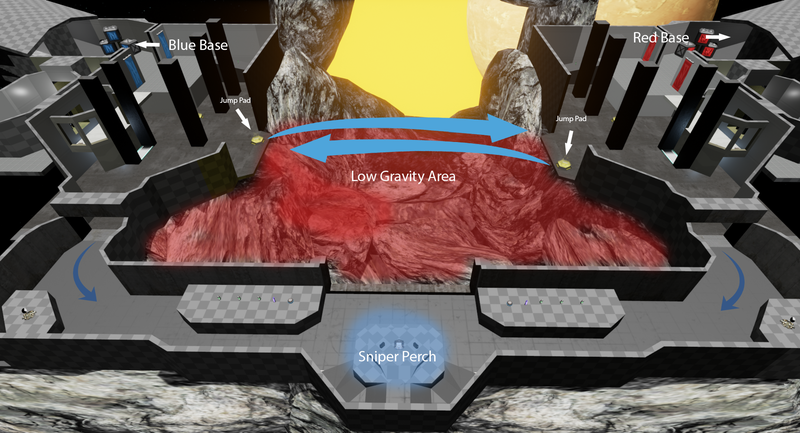 This section has jump pads going across from base to base with low gravity in the middle, bringing some risk for those choosing to take the “quick and easy way”. 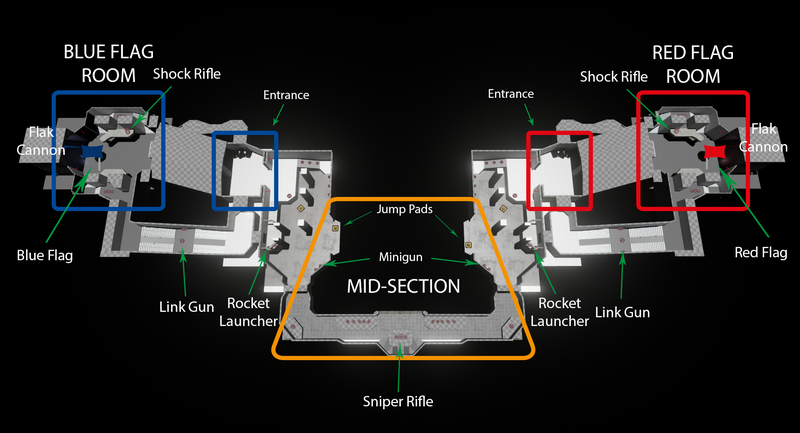 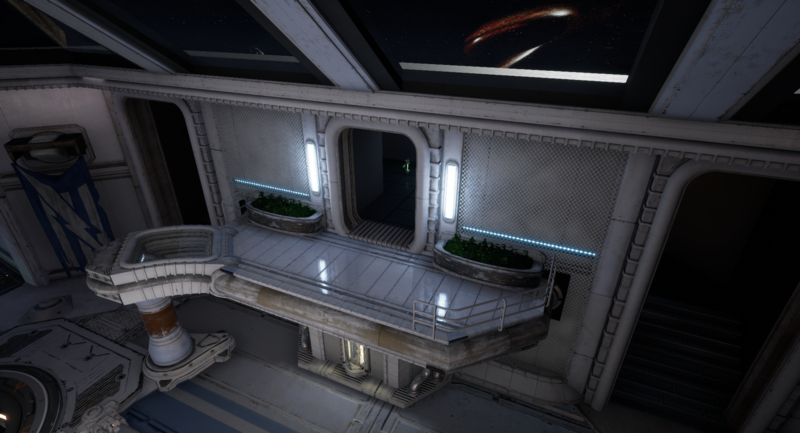 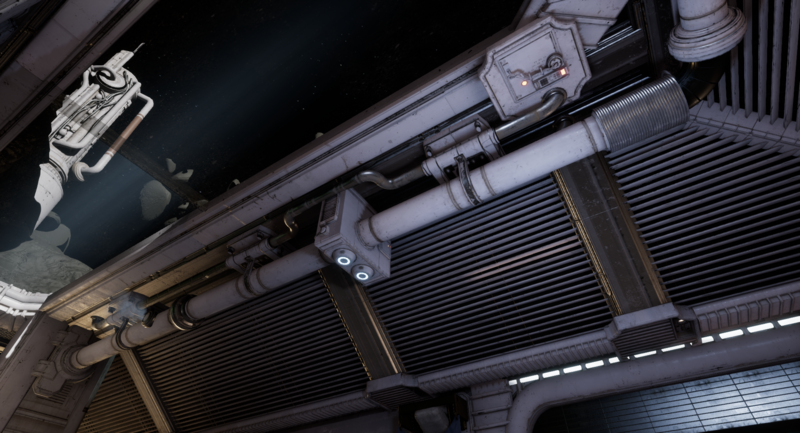 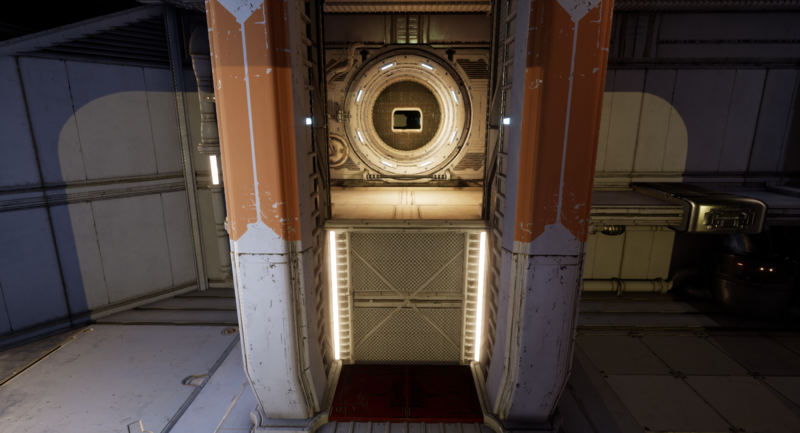 There is an alternate corridor going across which takes longer but has a Sniper Rifle pickup in the middle and an open area overlooking the entire docking area section as well as lines of sight into each base entrance. 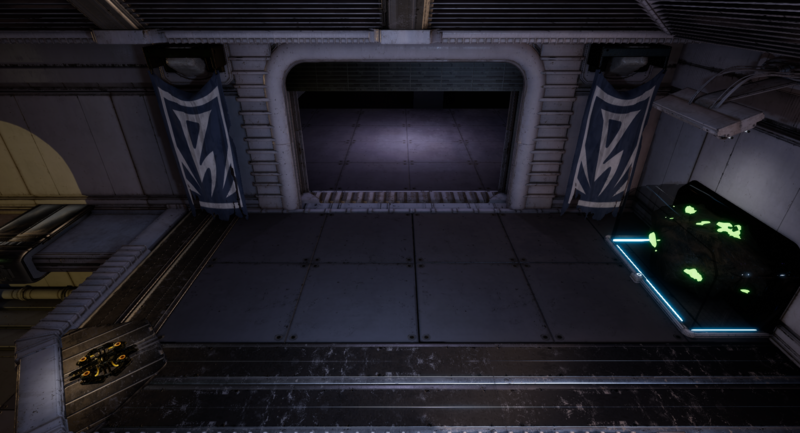 The entrance to each base has a deliberate chokepoint where anyone who’s going into or out of the base have to pass through. 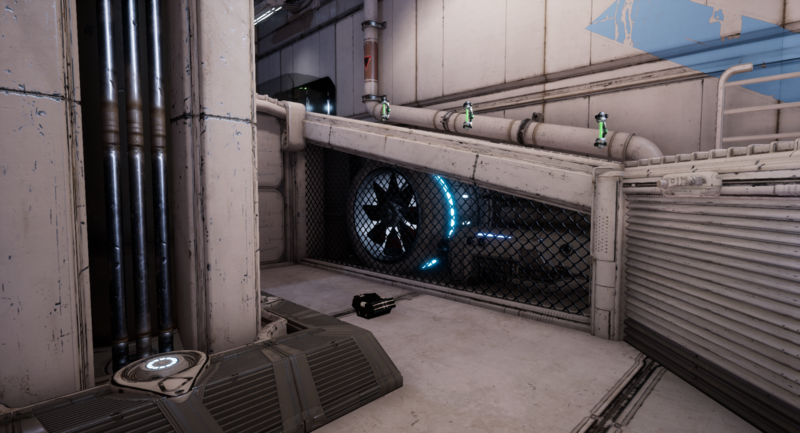 In this area the paths into the base branch into multiple directions giving you different choices and whether you’re going for the flag or trying to defend your base there are multiple directions to keep in mind. 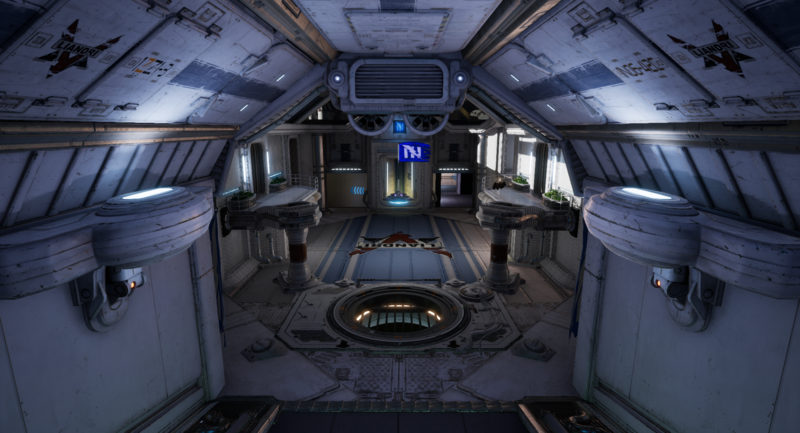 The multiple branching paths all end up in the flag room, meaning defenders will have multiple areas to keep an eye on as attackers can be coming from different directions. 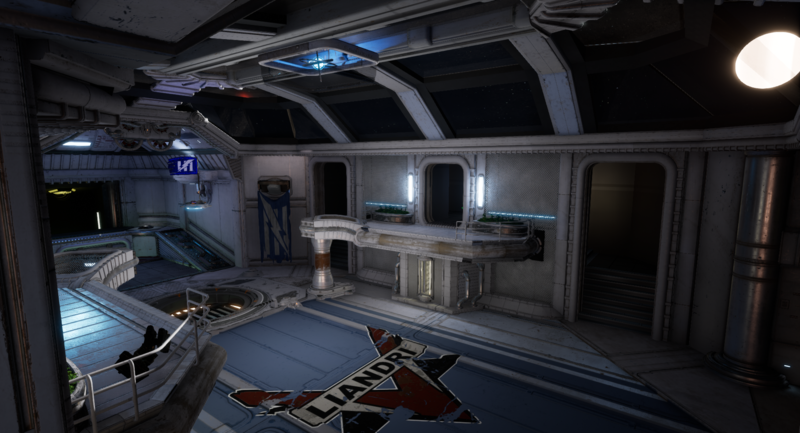 The flag itself is suspended on a small platform in the air in the middle of the room making it slightly more challenging to just run in and grab the flag. 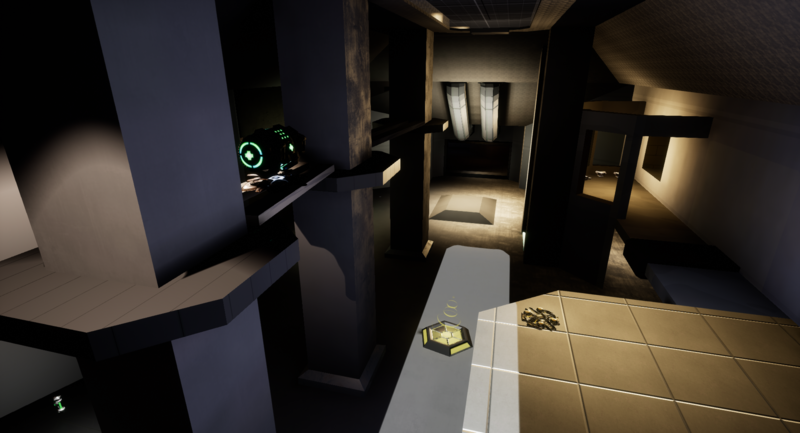 After some extensive playtesting and a few balance tweaks to things like weapon spawns, health locations, jump heights, lines of sight etc., it was time to make the level look the part as well. 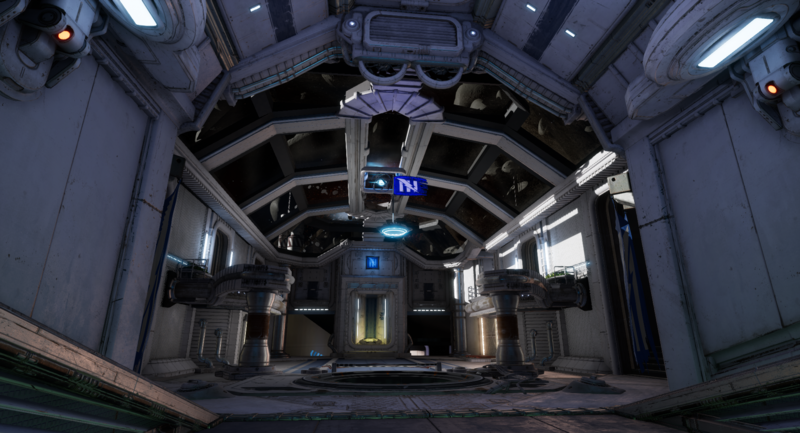 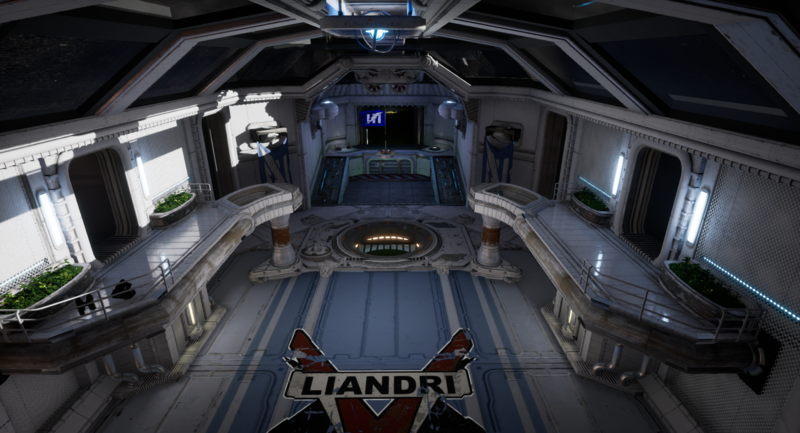 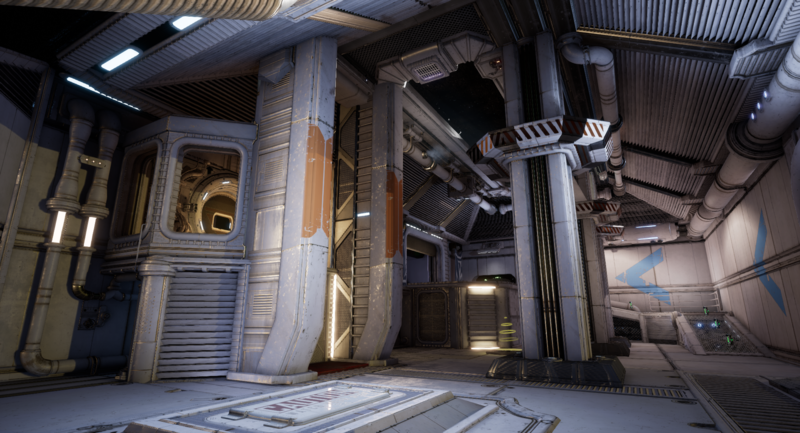 By far the most extensive and timeconsuming part of the entire process was the art pass, which was made entirely out of assets released for Unreal Tournament 4 and owned by Epic Games Inc, with just a couple of custom materials and meshes, created or tweaked for specific purposes.